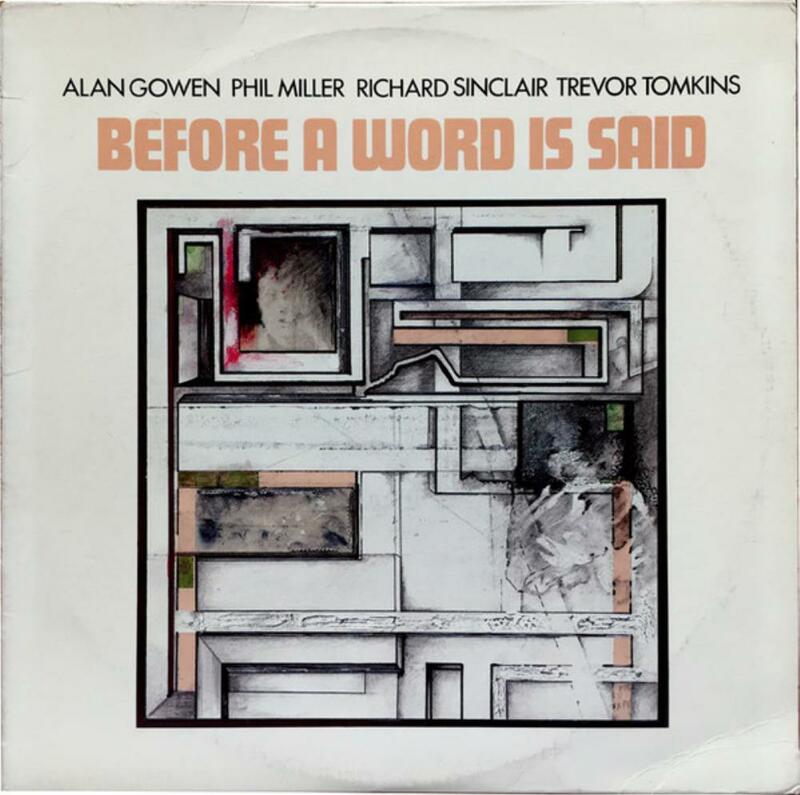 Recorded at Alan Gowen's flat in South London just weeks before his untimely death, this album is a fine piece of work from the sometime Gilgamesh and National Health keyboards player and composer and is a real treat for Canterbury fans. On these recordings he was accompanied by Phil Miller, Richard Sinclair and drummer Trevor Tomkins, and the sound is like a lighter, breezier version of National Health. The sound quality is good but not brilliant; it sounds more like a collection of high quality demos rather than a fully produced studio album. If you accept that, however, it's a splendid slice of the very English version of jazz rock fusion that emanated from the Canterbury scene. All of the musicians are in fine form and the general vibe is relaxed and good natured, with Phil Miller turning in some particularly good performances on guitar. Richard Sinclair's bass anchors the arrangements and he adds some of his trademark (wordless) vocals here and there, notably on the opening track and Umbrellas. Former Gilgamesh member Trevor Tomkins plays with the light touch of a seasoned jazz drummer (he remains a key player on the UK jazz scene to this day) but lays down a solid beat when the music demands it. Above all there is the keyboard work of Alan Gowen; anybody who enjoyed his Minimoog contributions to National Health will love this album. The words 'jazz' and 'synthesiser' rarely sound credible when joined together in the same sentence, but Gowen's synth solos have the fluidity and lyricism of Elton Dean's alto sax or Didier Malherbe's flute, and crucially he knew when to stop playing and share the spotlight - one of the many delights of this album is his interplay with Phil Miller and Richard Sinclair, all being equally happy to play in the background or to take a searing solo. The standard of composition and musicianship is excellent throughout but the highlight of the album is probably the title track, a downbeat piece with the sound of children playing outside in the background. It comes across as more elegiac than mournful, but it has an added poignancy given the circumstances under which it was recorded. This was Alan Gowen's final musical statement and is a fitting musical epitaph for a strangely overlooked musician and composer. Round it up to 4 stars if you're into Canterbury and especially if you're a National Health fan, but if you're a newcomer start with National Health's debut.